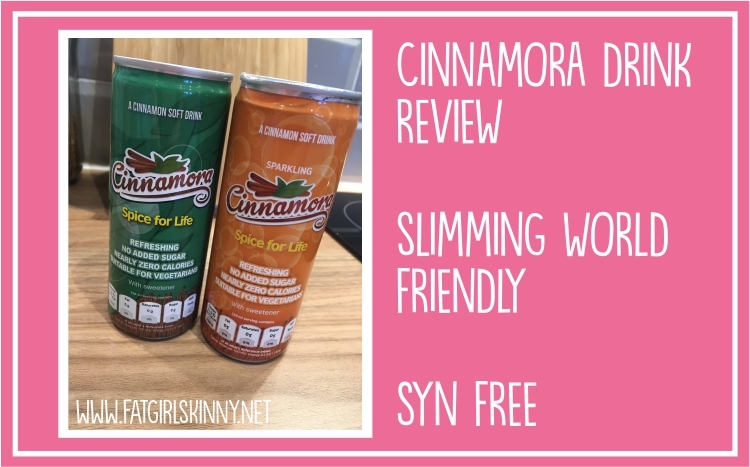 I was lucky enough to be contacted by the wonderful people from Cinnamora to ask if I would like to try this great new Cinnamon drink and It’s beautiful. It is 100% Slimming World friendly being totally Syn free. I am a huge fan of Cinnamon.. I am always adding it to desserts, hot chocolates etc.. So I knew I would adore this new drink. 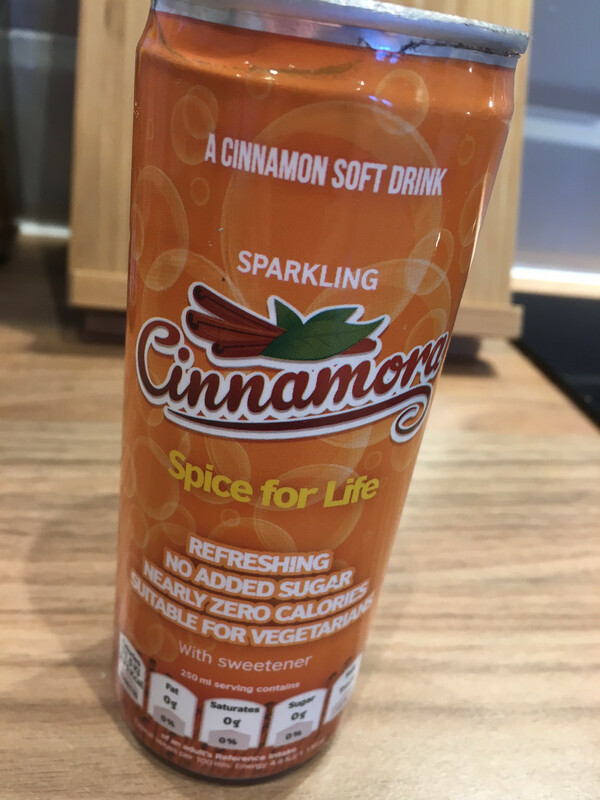 I have to admit however, I did not realise the health benefits of Cinnamon, so not only did I find a delicious new drink but I learned something too. Taken from the Cinnamora Website: Cinnamon is widely used in Ayurveda and traditional Chinese medicine for conditions such as diabetes, high cholesterol and indigestion. In western medicine, many studies have been published showing the benefits of cinnamon for diabetes and cholesterol, however no health claims are possible as yet. I think one of the problems with being on a diet or healthy lifestyle change such as Slimming World.. is finding a sugar free low calorie drink that feels naughty. I get a bit bored of the normal diet cola etc.. I was looking for something different and I think Cinnamora may have cracked it! The first can I tried was the Sparkling drink.. I chilled before use as I do definitely prefer my fizzy drinks cold. The first thing I noticed when opening the can was the smell.. Mmmm it smelled like Christmas and tasted just like it too. 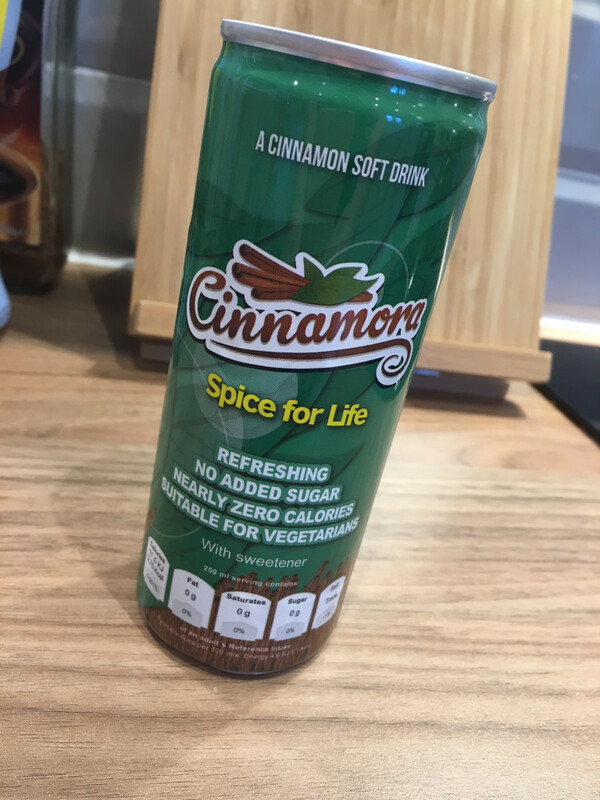 I was concerned that the taste of Cinnamon would be overpowering but it is just subtle enough to make a refreshing drink. the sparkling version. But I think that may be because I drink a lot of fizzy drinks. I actually read on another review an amazing tip for this version of the drink.. heating the product in a pan to boiling point and using it to create a hot chocolate using an Options sachet. Well it was a great tip!! It was so tasty.. this may be my new favorite evening treat. So my overall opinion of the product is I really like it… the only downfall is that it’s not that easy to purchase.. I think if it was available in local supermarkets I would probably purchase a lot more. But they can be purchased online via Amazon here or on their website here.